Day nine was yesterday for the Blog Every Day in May challenge and I dropped the ball. We all knew that would happen though right? Let’s not dwell on it though. Yesterday’s topic was a meal you crave. If I’m being honest, I don’t have a favorite meal. I seriously will eat everything and anything you put in front of me. I’ve never been much of a picky eater so it’s pretty easy for me. However if we’re talking about a meal I crave right now? 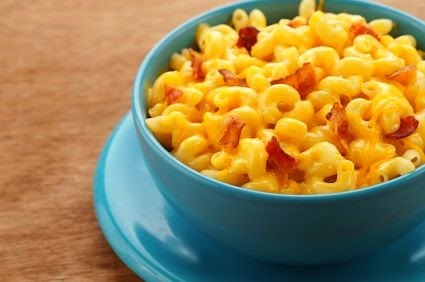 Totally homemade mac and cheese with bacon. You see I’m trying this whole eating healthy thing this spring and because I’m trying to steer clear of so many carbs, it’s all I want. Isn’t that how it always goes? What are you craving these days? Maybe it’s more healthier than my option! I love mac and cheese too! Im trying to stay away from sugar and that is all I want!